Chef Ankit Khachi can be termed as a progressive culinary professional with an immense creative flair. A tee a tee with the chef, one could see his passion and love for his profession. An everlasting smile on Chef’s face will greet you whenever you meet him. A unique blend of creative flair and passion for food, strong interpersonal skills and on spot service while preserving the highest levels of quality. He has the Ability to create enthusiastic, productive working environment with customer-oriented professionals. Chef Ankit is from Shimla. His native is 80 kms uphill from Shimla. It is a small town known as Kotgarh. It was the first place in India where apple trees were planted back in 1912. An American missionary, Samuel Evan Stokes, who converted to a Hindu, Satyanand Stokes came to Shimla that time. He was the one to bring apple trees from Pennsylvania. Now, the economy of Shimla is based on apples, cherries, apricots and other fruits, which are grown in the hilly tracts. He is currently the Executive Chef of Hotel Trident, Bhubaneswar. He has completed his degree in Hotel Management from “SAMS Institute of Hotel Management”. He has also successfully completed the level 3 CIEH training from Diversery. If one looks into Chef’s culinary journey so far, one can have an insight of his rich culinary experiences. Chef Ankit started his career as a Management Trainee for the Sky Gourmet, which catered to approximately 165 international and domestic flights (2010). 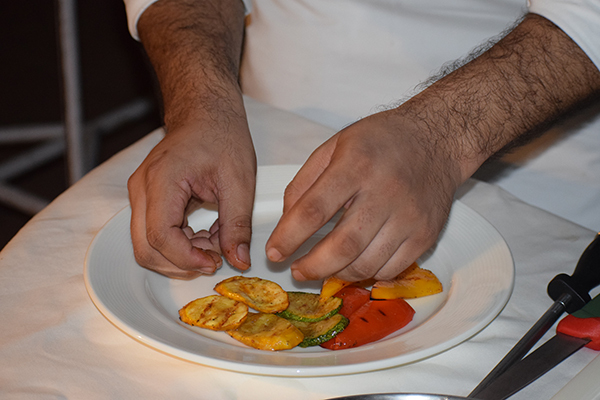 Then, he joined Hotel Trident, Agra as an assistant and became Chef de Partie with the same organisation. Since then there was no turning back in his career. About 3 years later in 2013, he switched to Radisson, as a Junior Sous Chef. 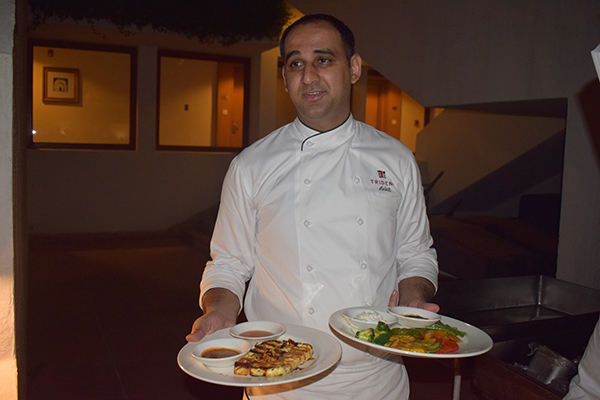 In 2015, the chef joined Four Points by Sheraton, Agra as their sous chef. There, he played a vital role as head of the Food Production Department. He was then promoted to Executive Sous Chef and the chef In Charge. Chef is currently the Executive Chef of Hotel Trident, Bhubaneswar. When asked about his fond ness towards Odisha and Odia food, Chef Ankit’s favorite odia dish is “Chhatu Besar” (indigenous mushroom in mustard seed paste gravy). It took him 3 months to research about the odiya taste palette. The chef started with dhabas. He has tried the food in all the restaurant and hotels before he could sit on the recipe drawing board. He relishes Odiya food from small dhabas, and specially mushroom, fish, and mutton. Apart from making delish food, the chef is a good sportsman. He studied in Kotgarh in a missionary school, which is one of the Asia’s first missionary schools, established in 1843. From his school days he use to participate in every sports activity and he wanted to be a player. All his experiences started while he was looking after a small resort in Manali. He and one of his close friends were looking after the resort for 6 months. Apart from experiences at the best properties across the country, his passion is still with cooking and to set up a restaurant with distinctive dining experience. He seeks challenges and is strongly determined to knock the ball out of the park if any comes along his way!